Your ability to compete, grow, and succeed depends on your capacity to unleash innovation. 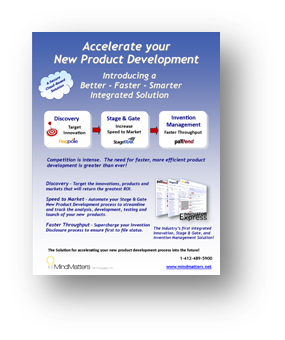 Your New Product Development process relies on a continual flow of new ideas for breakthrough products, product enhancements and upgrades. It’s amazing how many companies have a very well documented product development process for developing new products but leave the innovation component to ad hoc processes. 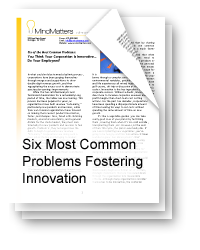 MindMatters Solutions helps organizations build successful and repetitive innovation processes, as well as, develop creative environments where motivation, recognition, and collaboration come together to inspire successful innovation. Making innovation happen means an environment that unleashes creativity! Where employees are motivated and their efforts recognized. Where ideas are evaluated quickly and fairly, with useful feedback. Where the best ideas are identified and developed. Tapping the talents and expertise of employees sparks the big ideas on which your future depends. In today’s competitive business climate, you can’t afford to wait for innovation to happen. Tools like our INNOVATOR NPD Express – Flagpole Innovation Management solution serve as a catalyst for turning the talents and expertise of your employees into innovation. Collaboration fast-tracks ideas into profits, enhances motivation and increases the quality and quantity of ideas. By making the approach to innovation more systematic and flexible, you gain the ability to evaluate ideas better. Capture the best ideas and evaluate them in granular form to achieve better allocation of development resources. Open up the expertise across the company in evaluating ideas. In doing so, you help break down silos and speed the evaluation and development process. 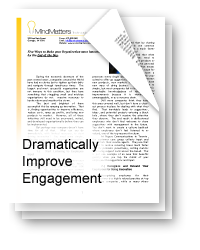 Performing timely reviews is one of the most important aspects of an effective innovation management program. Time is money. Innovation becomes a closed loop, where innovation breeds more innovation, valuable feedback helps evolve the best ideas, and increased motivation helps make the leap from ideas to big ideas. In the race to market and profits, it’s not necessarily who’s first to market. It’s who’s first to market with a breakthrough idea! That’s where MindMatters Solutions and INNOVATOR NPD Express – Flagpole Innovation Management can help. To stay competitive, you must respond effectively to strategic needs and market opportunities. 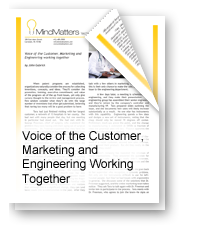 Organizations must identify and communicate business opportunities, and connect those market needs to the inventors and innovators within their organization. This process must be repetitive and ongoing. A directed innovation process is required where products and services are better able to match the true needs of the marketplace, producing high market acceptance and business results. Timed-Challenges™, a MindMatters’ patent-pending methodology built into the INNOVATOR solutions allow you to quickly communicate market needs to a specific audience in directed timed campaigns. The ideas and innovations flow to the experts within your company to evaluate, implement and stay ahead of the competition. 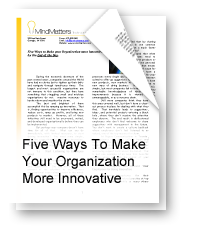 MindMatters Solutions software and innovation services provide a repetitive and ongoing process to maximize your innovation ROI. A collaborative environment for innovation is critically important for long-lasting, profitable results. 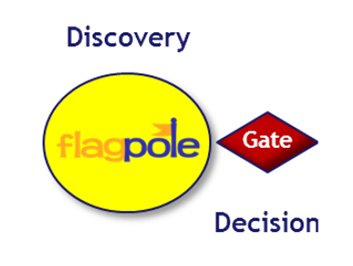 MindMatters Solutions and the INNOVATOR NPD Express – Flagpole Innovation Management can help you create a collaborative innovative environment. Collaboration often gets a lot of acknowledgement during the design of an innovation program, but rarely returns the expected results. With the INNOVATOR Express – Flagpole Innovation Management solution, collaboration is built into every aspect from capture through final disposition.